We wanted to see Milford Sound and do some trekking, but time seemed against us with the van needing to be back and with routes taking longer than we thought. We mapped out all kinds of options, and ended up with a coffee at a nearby town to think. 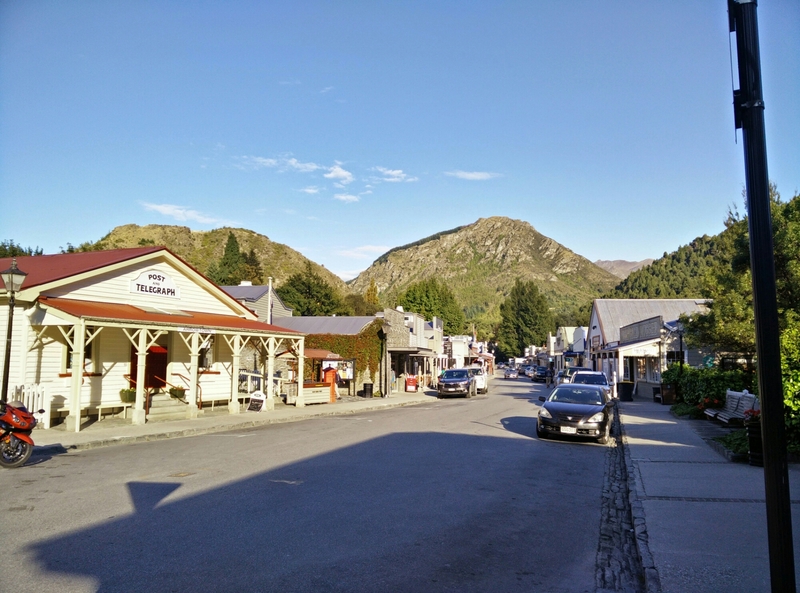 Arrowtown maintained storefronts from its gold rush heyday, including a Post and Telegraph storefront which is still an operating post. We followed a town map around to the Gaol, which fittingly was locked, but had a note to come borrow the key at the info site if you wanted a closer look. 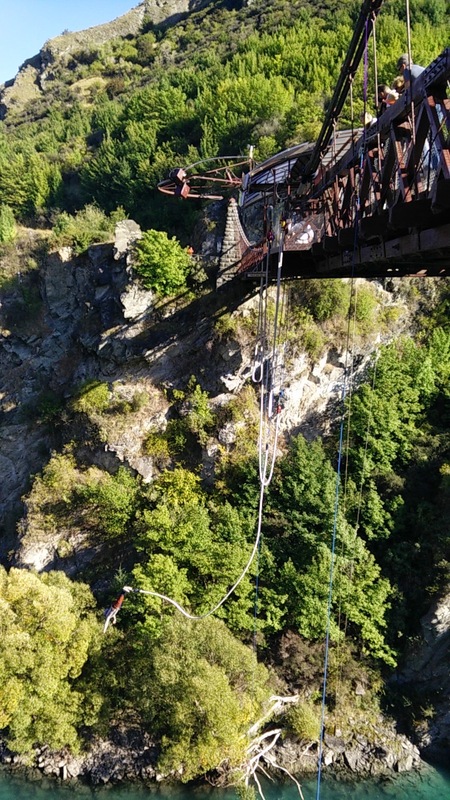 To get an adrenalin fix on our way out of Queenstown area, we stopped to bungee spectate. T spent his energy admiring the old bridge and gorgeous water, while I talked myself into jumping 3 times and talked myself out of it four times. 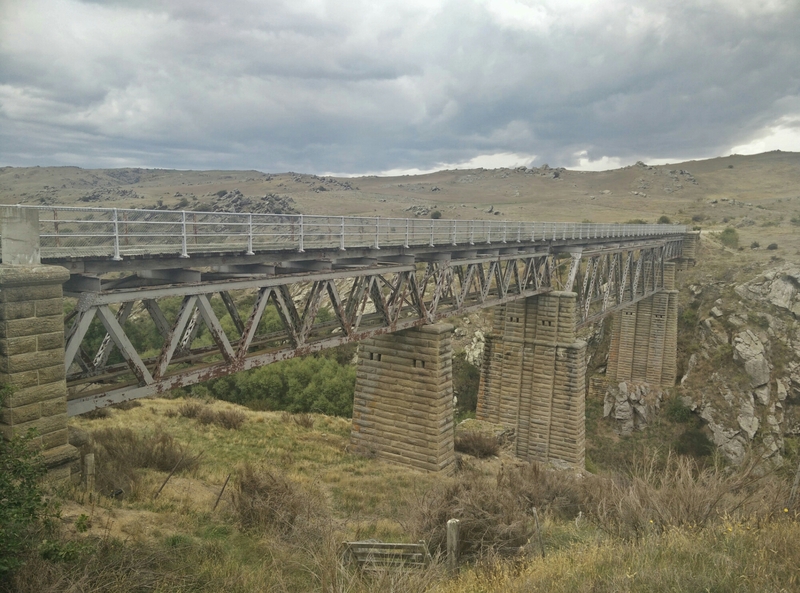 The other cardio workout of the day was biking the Otago. We spent two days on the rail trail, catching up with sheep, deer and cows along the way. The area is a fruit growing region and home to many Pinot Noir vineyards. Though the rails have been removed, the tunnels, bridges and nearby aqueducts make for interesting cycling, as do the occasional falcon sighting. Still, T’s face was happiest after a real shower at the bike rental store after many days of campervan showers. Ginny mentioned it looks sort of like the American West and I agreeded. Thoughts? It does have a Wild West feel- and maybe even some tumbleweed!